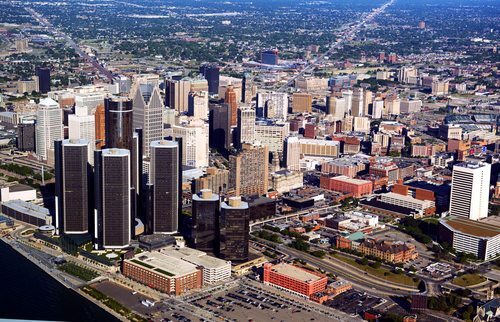 In the midst of all the media coverage of policy failures, finger-pointing and hand-wringing over decades’ worth of mismanagement and decline, it’s refreshing to be reminded that other stories about Detroit are begging to be told. Salter eventually settled on profiles of seven individuals—some natives, some transplants—committed to being part of rebuilding Detroit. From 26-year-old Andy Didorosi, who started a bus company, to Dan Gilbert, chairman and founder of Quicken Loans, Salter went deep with each of the seven “characters” he chose to bring his work-in-progress Detroit article to life. Then he literally brought it to life, with a staged reading and chat that he describes as a “storytelling, radio/magazine mash-up.” The event was one part “This American Life,” one part radio play, one part town hall/pep rally for the city. And then he went back and rewrote the story, based on what transpired at the live event. While the Nieman Storyboard article may be most appealing to those interested in the anatomy of Salter’s project as an experiment in narrative journalism, the Fast Company article and video footage from the stage event are great reminders of the power of storytelling in putting a human face on the worst—or best—of situations.